Google finally took action after eight Cheetah Mobile and Kika Tech apps were allegedly involved in ad fraud last week. 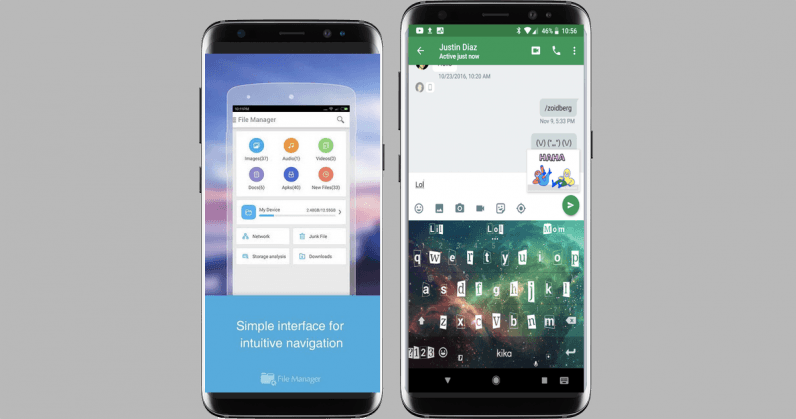 The search giant removed CM File manager and Kika keyboard apps after an internal investigation. The company found that these two apps contained code which can be used to execute ad fraud through various techniques. “We take these allegations very seriously and our Google Play Developer policies prohibit deceptive and malicious behavior on our platform. If an app violates our policies, we take action,” it said in a statement. According to app analytics company AppBrain, CM File Manager has more than 50 million downloads, and Kika Keyboard has over 100 million downloads. The company even said it’s prepared to take legal action against research agency Kochava, which uncovered the fraudulent behavior in CM apps. A day later, in another press release, it said that Kochava’s methods are hard to trust as they exhibited several fundamental mistakes. It’s hard to know if Cheetah Mobile knowingly indulged in click fraud at this point. While the company is blaming the whole ad scandal on a third-party SDK, it should take responsibility for what’s happened – especially since it could’ve stood to gain from such a scheme – and it should have vetted these services before flinging them onto their apps. Kika Tech also brushed off the allegations and said it found no evidence of click fraud in its apps. These companies can appeal to Google to restore these apps on the Play store, but they will certainly have to take constructive actions to avoid ad fraud. They’ll also have to work hard to regain users’ trust after this debacle. Follow our Google magazine on Flipboard for the latest news about Android.